Samsung has announced that the Android 4.3 Jelly Bean update will hit the Galaxy S3 and Galaxy Note 2 handsets from the end of October and bring with it support for the Galaxy Gear smartwatch. We'd already heard that the Galaxy S4 would see the latest version of Jelly Bean (and with it Gear support) by the end of the month and it's good to see Samsung is finally adding more handsets to the roster. 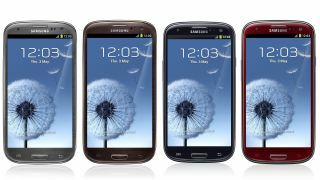 The Galaxy S4 Mini, Galaxy S4 Active and Galaxy S4 Zoom, as well as both the Samsung Galaxy Mega 5.8 and 6.3 will gain a separate software update to add Gear functionality. The 4.3 Jelly Bean update brings easier text input as well as enhanced graphics and multimedia to the brands ageing handsets. It also means that they gain Samsung's Knox business solution, Smart Switch, HomeSync and Group Play 2.5. Galaxy Gear... but not 4.3? JK Shin, CEO and President of IT & Mobile division at Samsung said "Extending the Galaxy Gear compatibility to more Galaxy devices reflects our deep commitment to continuing to deliver our consumers enriched mobile experiences"
Unfortunately for those using any of the aforementioned S4 variants, or the Galaxy Mega handsets, there is still no word - if indeed there ever will be - on a 4.3 update. Instead, the S4 handsets are being treated to an internal update to address lack of Gear functionality. Samsung has said that the Gear update should land from the end of the month, although this will obviously vary depending on market and mobile network.